Kylie Howarth — Kids - Why You Need To Exercise Their Imaginations. Kids - Why You Need To Exercise Their Imaginations. I can hardly tell you how excited we were to step foot inside this place. REmida is a Creative Reuse (Recycling) Centre in West Perth. For $20 we were given a box to fill with any creative gems that caught our eyes. We collected gold foil, reflective road signs, VHS tapes, cassettes, CDs, pipes, tubing, perspex, wood offcuts, bottle tops, fabric, cardboard, and computer keyboards to name only half of it. We were worse than kids in a candy store and it was quite a challenge not to ask for a second box. It was also fantastic to see teachers filling their huge trolleys full of exciting materials for their students. Many of these materials would have found their way into landfill. But the REmida team collect it from factories and sort it all to replace the need for new resources for local schools and artists. It’s becoming apparent that computers and robots will replace many of our jobs in the future. Imagination and creative thinking are both skills that are hard to automate, so are therefore most important for children to develop in order to ensure a bright future. And our planet’s health depends on teaching them about recycling too. 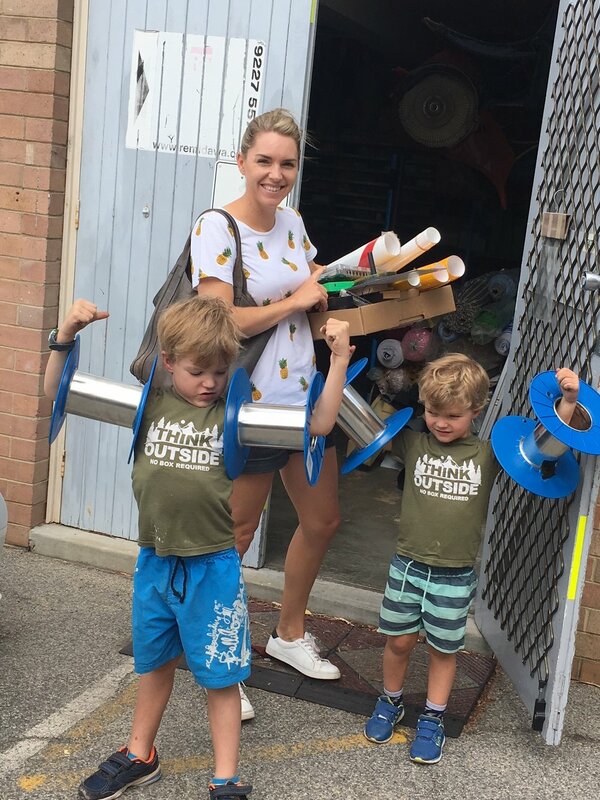 So a visit to a Creative Recycling Centre is not only great for kids to learn about recycling, it will also inspire bucketloads of creativity. 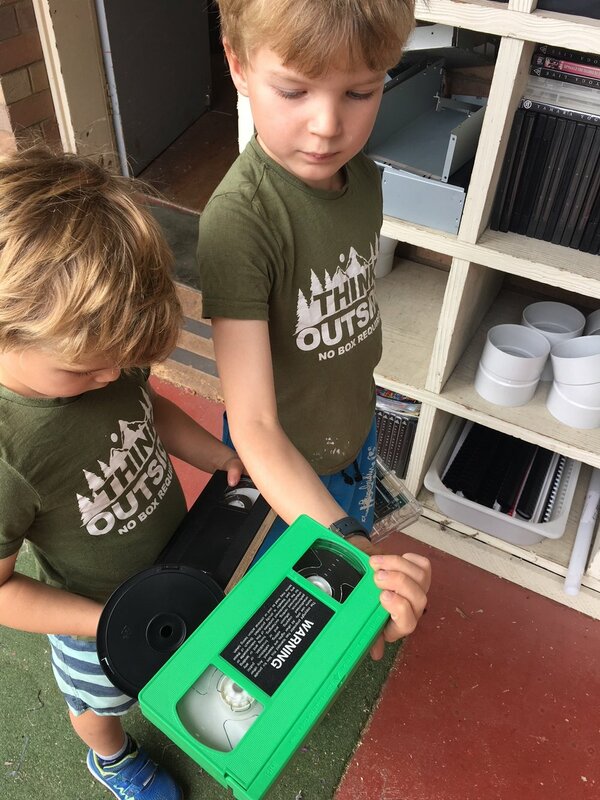 We used our materials to redecorate our cubby house and set it up as a computer and inventor’s workshop. The kids spent the rest of the day creating sculptures and inventing all sorts of imaginative gizmos. Visit www.remidawa.com for more info or find your local recycling centre. Blog post by Author / Illustrator Kylie Howarth. Opinions my own, this post was not sponsored.